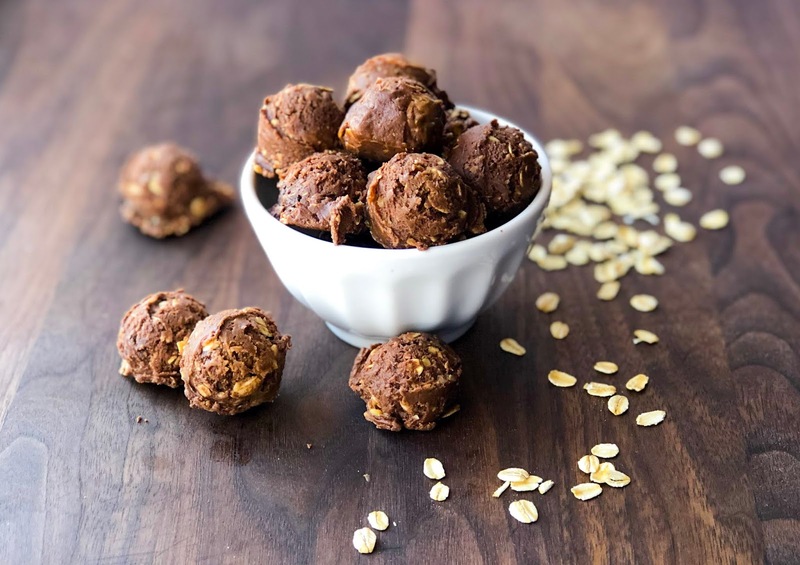 These little protein bites are all the rage right now! I seriously love them and I love creating new flavor combinations. 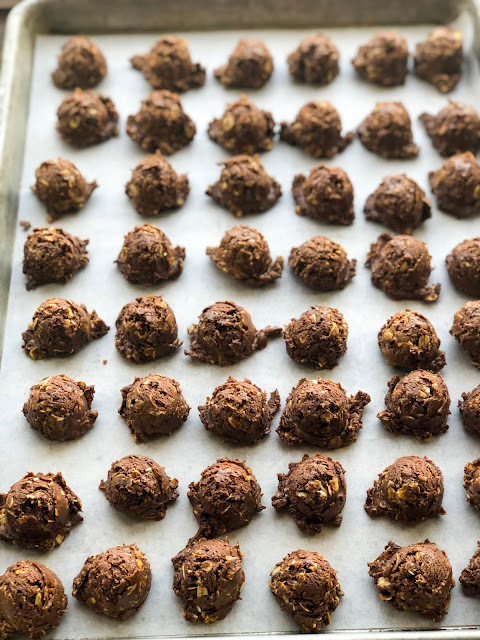 Having these prepped and ready in the afternoon always saves my sweet tooth. 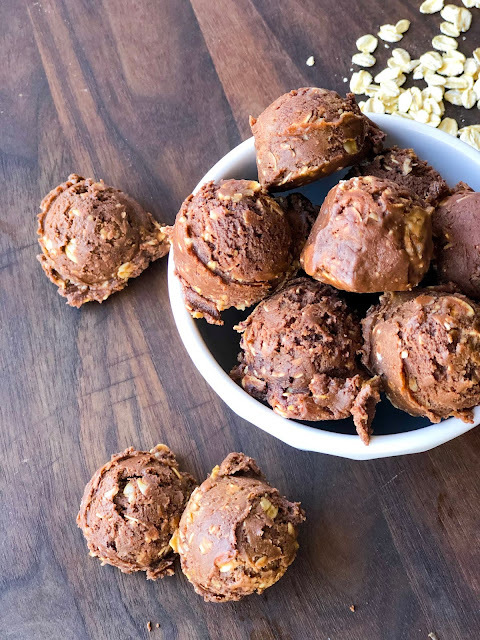 Chocolate & Peanut Butter is a classic flavor combo that I am crazy about! 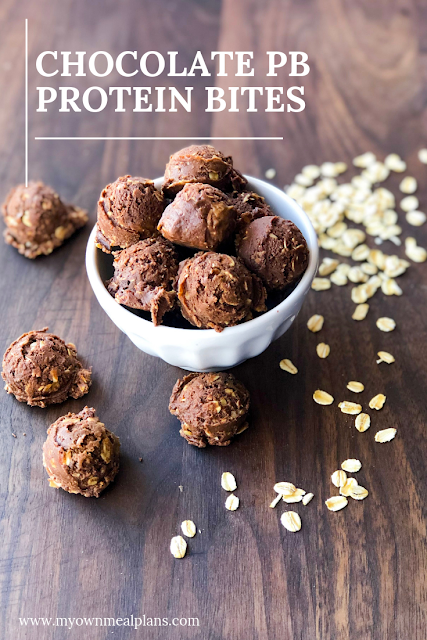 And, this flavor combo makes delicious protein bites. I love them and I think you will too. Make it with me! Being prepared with healthy snacks is an important tool in sticking to any healthy eating plan. 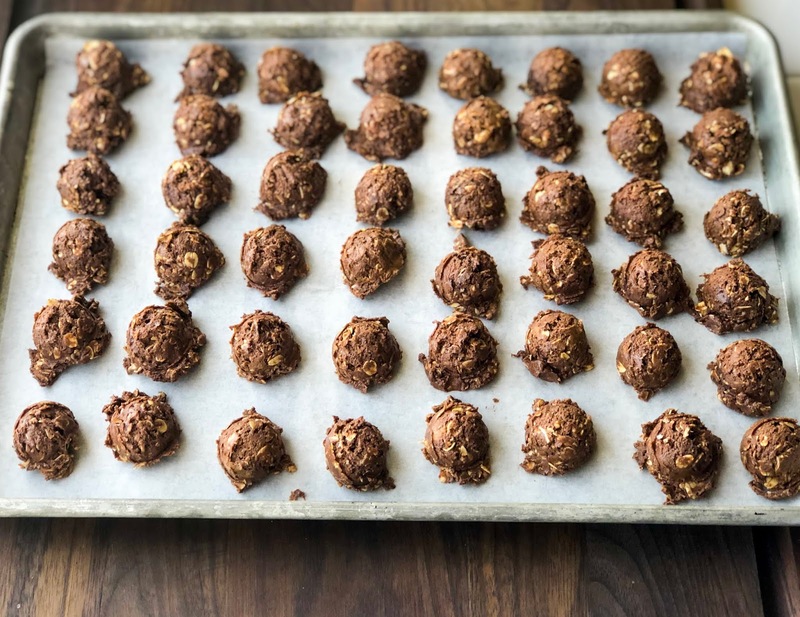 While nuts and fruit are great options on their own, these little bites combine the two for a balanced choice between meals. 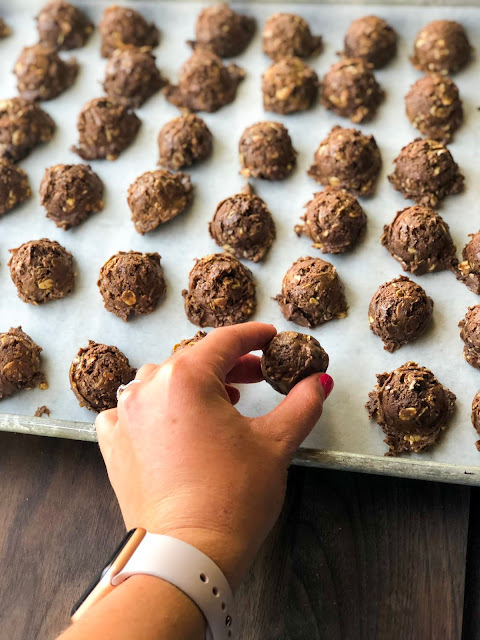 All of the ingredients in these protein bites store well -- perfect for making ahead and storing them in our desks and purses on-the-go. Lately I've been using Premier Protein Chocolate Powdered Protein! It has a great flavor that compliments peanut butter really well! You can shop it on Amazon, or find it at Target! 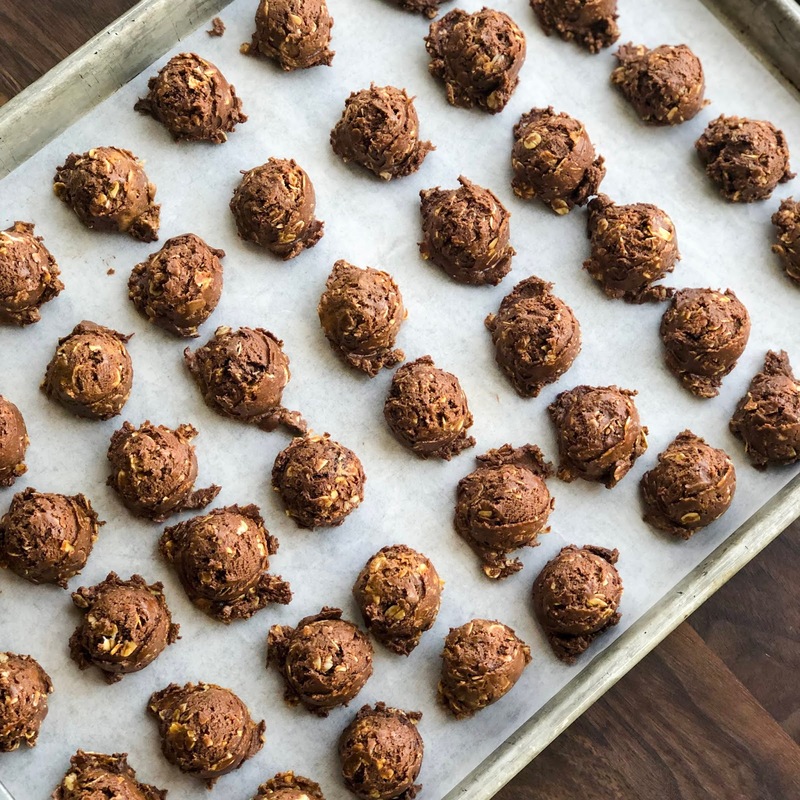 Pro Tip: Sometimes I like to grind up the oats before making these bites. The texture is a lot smoother and less chewy! In these pictures, the oats are whole. But, if you want a smoother bite, try blending them in the blender or the food processor. 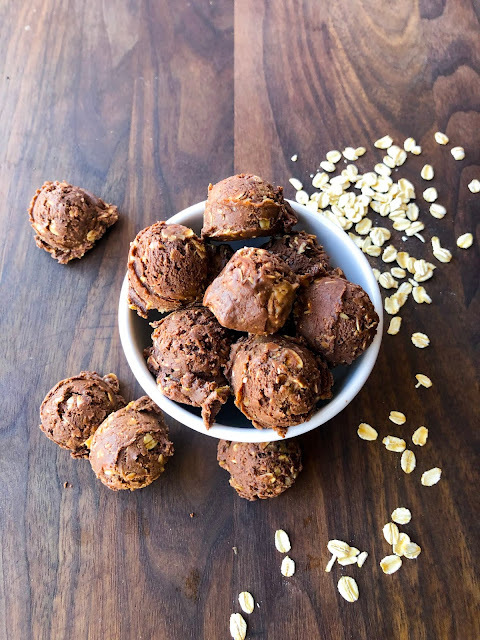 Great to make for on-the-go, these bites are a good source of protein, to keep you full and energized. Try other nut butters such as almond, sunflower, or cashew. To a mixing bowl, add all the ingredients. Beat on a medium speed until all the ingredients are incorporated. Using a cookie scoop, scoop 1 inch balls onto a lined cookie sheet. Place in the fridge or freezer for about 30 minutes to set. Transfer to an airtight container and store up to one week.